I help clients solve complex business problems by identifying the core issues at stake and boiling decisions down to simple options. This approach requires me to fully understand what’s most important to clients and help them cut through the various challenges that kept them from solving the problem on their own. Once I know precisely what my client’s ideal outcome looks like, I can find the best solution that will take us there. A formidable courtroom advocate and creative negotiator, Jonathan Hyman has obtained successful verdicts, arbitration awards and settlements in a wide range of complex business litigation matters across Texas, the U.S. and abroad. His clients include publicly-traded companies and private businesses in the energy, franchising and distribution, and financial services industries. Jonathan has a proven ability to solve the most challenging business problems and deliver peace of mind to his clients, whether he’s capturing millions of dollars in tax savings for a midstream energy company or protecting an international franchisor in commercial disputes all over the world. With energy clients spanning all segments of the industry, there is no shortage of high-exposure litigation and everyday commercial issues for Jonathan to resolve. He personally handles every detail and phase of disputes involving midstream agreements and represents a leading international energy brokerage firm in business and employment litigation involving unfair competition, trade secret theft, and enforcement of non-competition and employment agreements. 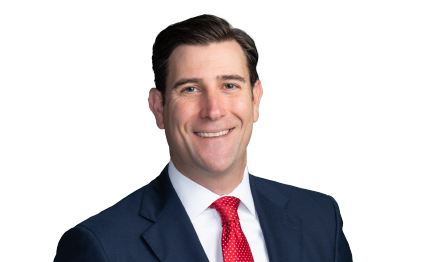 As the go-to litigation counsel for one of the largest franchisors in the U.S., Jonathan is also responsible for resolving complex business disputes that take him across the country, to Europe, Southeast Asia and several other jurisdictions around the globe. Although he takes lead in many cases, Jonathan also oversees a large network of U.S. and international trial lawyers focused on achieving successful results in a variety of franchisee disputes, primarily involving failure to pay royalties, trade secret theft, violations of non-competition agreements and fraud. Successfully represented a subsidiary of Crestwood Equity Partners in a lawsuit to challenge the taxable value of a natural gas storage facility and underground caverns in Matagorda County, Texas. Following a two-week trial, the court reduced the facility’s taxable value by more than $250 million for the two tax years at issue. Obtained a settlement on behalf of a subsidiary of Crestwood Equity Partners in two lawsuits challenging the appraised value of a natural gas storage facility in Matagorda County, Texas. The settlement reduced the facility’s taxable value by more than $360 million across the four tax years at issue, resulting in a total tax savings in excess of $5 million. Obtained a $3.15 million judgment on behalf of Jani-King Franchising, Inc. in a suit against its former franchisee in the British Isles and the franchisee’s principal. The United States District Court for the Northern District of Texas issued summary judgment orders finding the franchisee breached the franchise agreement, the principal breached his personal guaranty, and dismissing the franchisee's counterclaim seeking more than $9 million in damages. The United States Court of Appeals for the Fifth Circuit affirmed the district court’s summary judgment orders. Jani-King Franchising, Inc. v. Jani-King (GB), Ltd. and Ian Thomas, No. 17-11254 in U.S. Court of Appeals for the Fifth Circuit. Obtained a $350,000 jury verdict on behalf of Jani-King International, Inc. in a suit against one of its New York franchisees. The jury found the franchisee breached both the royalty payment and non-compete provisions of the parties' franchise agreement, and denied the franchisee's counterclaims. The jury’s verdict was affirmed by the Fifth District Court of Appeals. Sullivan v. Jani-King of New York, Inc., No. 05-11-01546-CV, 2013 WL 3553396 (Tex. App.—Dallas July 11, 2013, no pet. h.) (mem. op.). Obtained a $4 million judgment on behalf of Jani-King International, Inc. in a breach of contract and fraud suit against its Singapore master franchisee. Obtained a take nothing arbitration award on behalf of a nutritional supplement company in an ICDR arbitration proceeding against its former South Africa distributor. The distributor sought in excess of $1 million of damages for alleged wrongful termination of the distributorship agreement. Won a $1.9 million verdict on behalf of a manufacturer in a suit against its former distributor and subsequently pursued fraud, fraudulent transfer and alter ego claims against the distributor's principals. The case settled less than a month before trial on terms very favorable to the manufacturer after defendants' multiple summary judgment motions were denied. Obtained a $2.5 million settlement on behalf of a manufacturer in a lawsuit against Computer Associates. The manufacturer asserted claims against Computer Associates - its software provider - for breach of warranty and fraud resulting from defective software provided by Computer Associates. The software license agreement contained a limitation of liability provision purporting to limit the manufacturer's damages to approximately $350,000. Obtained a $2.6 million settlement on behalf of a Singaporean bio-fuel producer in a breach of contract suit against the counter party to a bio-fuel purchase and sale agreement. Represented Crestwood Equity Partners, a midstream service provider, in the QuicksilverResources bankruptcy proceeding; Coordinated Crestwood’s opposition to Quicksilver’s motion to reject gas gathering and processing agreements with focus on state law oil and gas issues. Won a bench trial on behalf of Schlumberger Technology Corp. in a suit against a former drilling fluids specialist for breach of the non-competition and training reimbursement provisions of his employment agreement. The court issued a permanent injunction enforcing the restrictive covenant and awarded Schlumberger damages and attorneys’ fees for the employee’s breach of his training reimbursement obligation. Successfully defended an energy brokerage firm in a week-long arbitration against a terminated executive. The executive sought more than $2 million in damages. The arbitrator ruled the executive was terminated "for cause," the agreement was not breached and awarded the executive less than $200,000 in damages. Successfully prosecuted a petition for writ of mandamus on behalf of OTC Global Holdings (OTCGH) in a proceeding against Amerex Brokers (Amerex). Amerex filed a motion for contempt against OTCGH alleging the hiring of four former Amerex brokers violated a 1998 injunction precluding the solicitation and recruitment of certain OTCGH and Amerex employees. Following an evidentiary hearing, the trial court found OTCGH in civil contempt for purportedly violating the 1998 injunction. The Fourteenth Court of Appeals, however, granted OTCGH's petition for mandamus relief and ordered the trial court to vacate the contempt order. In re CHOICE! ENERGY, L.P. 325 S.W.3d 805, 811 (Tex. App.--Houston [14 Dist.] 2010, orig. proceeding). Secured a dismissal without payment of consideration on behalf of a Singaporean plastics manufacturer in a suit against its U.S. sales representative. The sales representative had sought $6,000,000 in actual damages. Successfully defended employees of a British staffing firm against non-competition and misappropriation of trade secret claims brought by the employees' former employer. Secured a dismissal without payment of consideration on behalf of commercial energy brokers in a breach of fiduciary duty and misappropriation of trade secrets lawsuit brought by the brokers' former employer. The claimants had sought in excess of $500,000 in actual damages. Obtained a temporary restraining order on behalf of a commodity brokerage firm in a suit against its former employee for breach of a non-competition agreement. The case settled prior to the temporary injunction hearing after the former employee and his new employer agreed to the restrictive covenants and reimbursed the energy brokerage firm for its legal fees. Represented U.S. based clients in a wide range of international arbitrations and assisted with court proceedings involving breach of contract, the recovery of losses from fraud and other employee misconduct in foreign countries including Brazil, Turkey and Singapore. Represented the Thai 7-11 Master Franchise Owner in an ICC arbitration proceeding against 7-11. Successfully defended a multi-national corporation by the heirs of a woman who died at a vacation home operated in St. Maarten, Netherlands Antilles. The claimants had sought over $30 million in actual damages, plus exemplary damages.